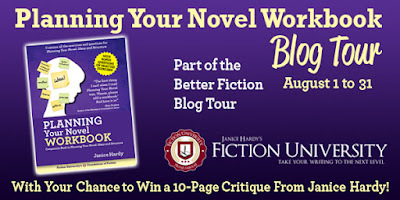 I'm thrilled to launch my Better Fiction Blog Tour from right here at Query Tracker. 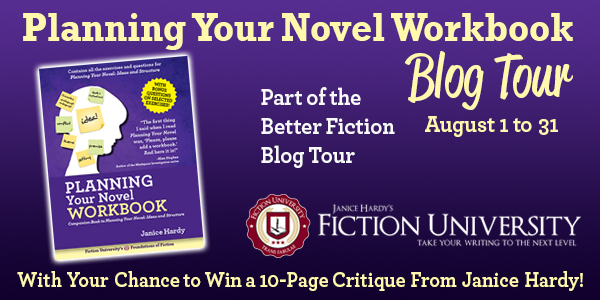 The following is part one of a series of guest posts by Janice Hardy, the founder of Fiction University, a website with "over 1,000 articles to help you take your writing to the next level!" Although ideas may come to us at any time, creating a novel idea on demand is often difficult. No one can truly tell you where to begin—they can only offer only suggestions on where to look for inspiration. I know what works for me, but if you're the type of writer who always starts with characters, giving you a plot point to brainstorm with will probably get you nowhere. If you build up from a premise, giving you ways to create cool characters might muddle your brain. One thing is consistent though. No matter how you develop an idea, something triggers that first spark of inspiration. Try reading newspapers, blogs, magazines, or web sites. Look at material that supports the type of novel simmering in your mind. If you think you might try writing science fiction, look at science magazines or science websites. Even gaming or comic sites could work. Explore newspapers or news sites if you’re considering a mystery or police procedural. Unsolved crimes could also spark ideas, or even famous crimes with well-known criminals. What might have happened if a few key details had changed? Totally stuck on what to write? Try the weird news sites, or humor sites that collect funny or odd posts from all over. When something piques your interest, keep exploring it until an idea forms in your mind, or you decide that’s not the way you want to go. Look for photos of characters or places for inspiration. An unusual emotion on a portrait might make you wonder more about that person, or a beautiful or unique setting might feel like the perfect place to set a novel. Images can be powerful triggers since they can draw us in the same as a novel draws in a reader. Even cartoons or memes can spark ideas. Create a file of images that appeal to you or bookmark them online. Mix and match characters and settings, emotions and moods, until an idea forms. Naming a thing has power, and the perfect name can make a character blossom in your imagination. Search through baby name sites for names that inspire characters. Street signs can also be fun places to find names. Exit signs on highways often put two names together that could become a person or an interesting place. Find a seat and watch the world go by. Malls, stores, and parks are common areas where people of all types gather, and some of them might catch your eye. What about them is intriguing? Make up stories about them, or imagine how you might turn them into a character. While you don’t want to eavesdrop on private conversations, listening for dialogue or snippets of conversation can also spark ideas. Poems can inspire ideas as well as emotions. Look for themes or imagery that you might want to explore, or even consider the type of character who might read or feel a connection to that poem. Think about what cultures or societies might be created if you used the poem or something within it as a foundation. Music can be powerful for a lot of writers, creating moods, inspiring imagery, or even creating a character. Pick a random song and imagine the type of character who would use it as her theme song, or pretend it was the first song a couple ever danced to. You don’t want to copy someone else’s work (that’s plagiarism), but a favorite book—or even a book you disliked—can be used as a jumping off point to your own original idea. There might be something about that book you find compelling and want to explore in a different way, or maybe you would write that same idea from a new angle. You might even take your three favorite books or movies and pick one element from each to create your own plot. Pick three news articles or blog posts that intrigue you. What about them do you find compelling? What location have you always wanted to visit? What secrets might it be hiding? Pick your top ten images. What about them do you find captivating? Why? What are your favorite names? Why? What happens when you turn those names into ones that would fit another genre, nationality, or ethic group? What are your least favorite novels, TV shows, or movies. How would you write them differently? What random conversations or person caught your eye recently? What about them was memorable? Why? Next, list five combinations from these six questions you might want to explore further. Mix and match and put together the story types you enjoy with the topics that interest you. Use as many or as few as you’d like. If you want to write a thriller, try picking a news article that sounds intriguing, then set it in the location that most appeals to you—such as a medical thriller about stem cell research set in Taiwan. If you love heist capers, pick your favorite art piece and figure out how your character would steal it—such as an art thief tries to steal the Mona Lisa from the Louvre. If you love stories about redemption, try choosing a news story about a truly despicable person and come up with a way for her to redeem herself—such as a woman who killed her children tries to make amends by saving a family in trouble. A fantasy heist plot set in an arctic environment, with a dark hero who will have to make a personal sacrifice. And brainstorm away! Keep mixing and matching until the right idea gets you so excited you can't help but dive right into planning it. The struggle for ideas hits everyone at some point, at all stages of their career. If you're banging your head against the keyboard and feeling like a hopeless newbie, know that somewhere, some bestselling author is doing the same thing. It's easy to enter. Simply visit leave a comment and enter the drawing via Rafflecopter. One entry per blog, but you can enter on every stop on the tour. At the end of each month, I'll randomly choose a winner. 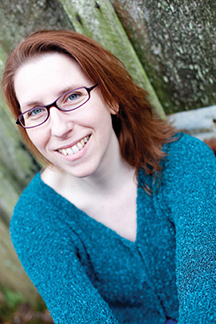 Janice Hardy is the award-winning author of The Healing Wars trilogy and the Foundations of Fiction series, including Planning Your Novel: Ideas and Structure, a self-guided workshop for planning or revising a novel, and the companion Planning Your Novel Workbook. She's also the founder of the writing site, Fiction University. For more advice and helpful writing tips, visit her at www.fiction-university.com or @Janice_Hardy. Thanks so much for hosting me and allowing me to launch my tour with the great readers of Query Tracker! Janice-thanks for the suggestions. I think they will help provide inspiration when writing short fiction, too. Best of luck with the book launch. I get my inspirations for romance from images of my hero - oddly, they always end up being Jeff Bridges at some age. Currently, K-PAX (thoughtful) and The Mirror Has Two Faces (vulnerable). 2010 cover of GQ is a killer! I've gotten so much from your blog - such valuable writing expertise. Great post today - and a fabulous giveaway. All the best on your blog tour. Barb, oh, definitely. Any type of story not matter what size. Thanks! Shelia, even newsites on the web can work. JC, I can see that, he's a great actor with so many different characters (and a cutie as well). Janice Hardy, your blog for writers is one of THE best. I've learned to be a better writer simply by reading your blog regularly. Thanks. Thanks, as always, for your helpful post. Even reading your questions and suggestions has made me think about potential ideas. These are some great idea generators. I'll definitely refer to the list. I sometime come up with ideas when watching a movie or reading a book and I come to a point where I say, "But what if?" and my mind takes the story off into another direction. My current WIP started when I was reading a list of tropes. When I came to Damsel in Distress, I thought what if the hero was in distress. It's been very fun to write. tsullyfitness, aw, thanks so much! I'm so glad it's helped you. Carla, cool! That's what they're there for. Maybe I am just ignorant but what are tropes and trope lists? I have herd of duotrope for short stories but don't know where the word comes from or the meaning. Tropes are things common to a certain type of storytelling, such as "The Chosen One" in a fantasy story, or "Happily Ever After" in romance. They're aspects that are common to most of a particular type of story or genre. They verge on cliche, but not quite. For example, if you took the "Damsel in Distress" trope, you might flip it (like the commenter above did) so it's the male hero in distress instead. My creative writing ideas come either from memories or headlines. Most end up as memoirs or non-fiction articles, but every now and then a news item busts out into a work of fiction or satire, and recently a novel (the refugee crisis in Europe and terrorism there). Thanks for the food for thought, Janice.